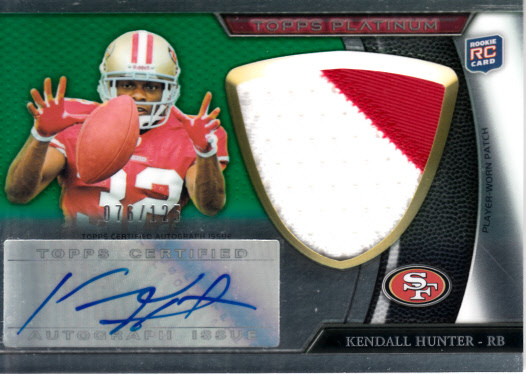 2011 Topps Platinum certified autograph Rookie Card of former 49ers running back Kendall Hunter, also featuring a swatch of worn jersey patch. With certificate of authenticity from AutographsForSale.com. ONLY ONE AVAILABLE FOR SALE.